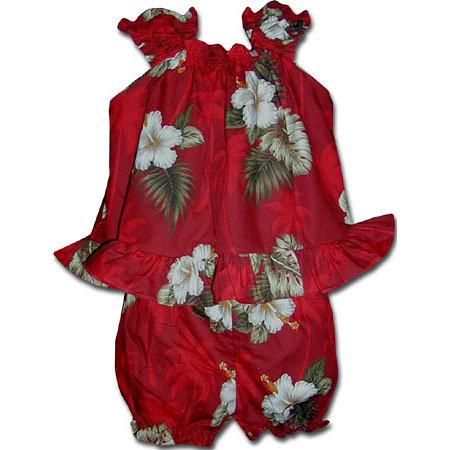 Includes top and matching diaper cover. 100% cotton. Made in Hawaii. Color red.